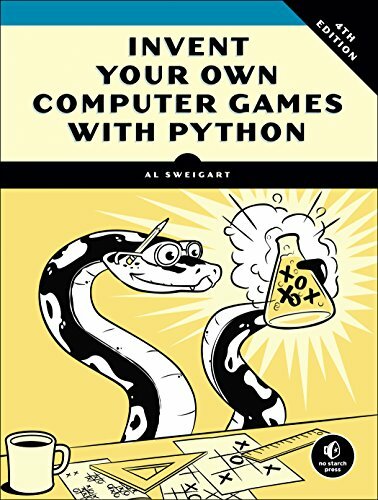 Invent Your Own Computer Games with Python will teach you how to make computer games using the popular Python programming language--even if you've never programmed before! Begin by building classic games like Hangman, Guess the Number, and Tic-Tac-Toe, and then work your way up to more advanced games, like a text-based treasure hunting game and an animated collision-dodging game with sound effects. Along the way, you'll learn key programming and math concepts that will help you take your game programming to the next level. As you work through each game, you'll build a solid foundation in Python and an understanding of computer science fundamentals.